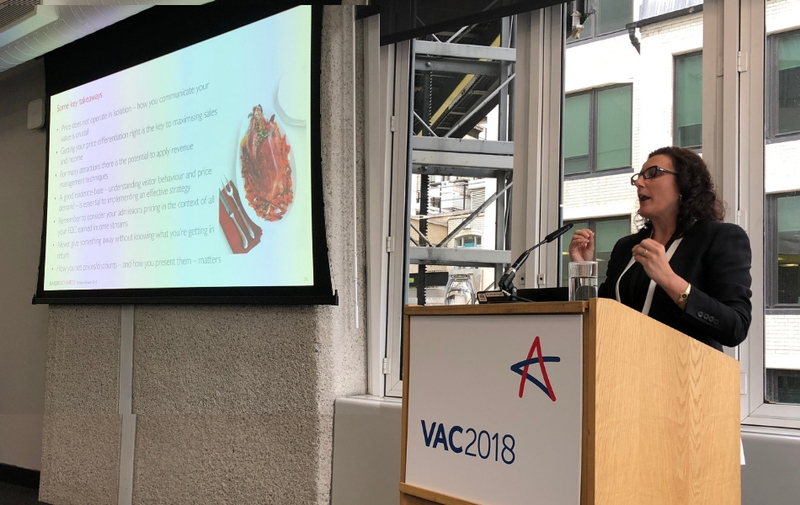 The Annual National Conference of Visitor Attractions (VAC) 2018 held at the Queen Elizabeth Centre, London, once again didn’t disappoint. I’m not entirely sure if there is meant to be a theme each year, but this year certainly seemed focused on heritage and museum attractions with guest speakers from Historic Houses, The National Trust, Harewood House & Alexandra Palace to name but a few. In this post, I'm going to share with you my favourite talks and tips from the day. And oddly titled talk I thought at first, but actually by the end made complete sense as his advice related to making attractions accessible to more audiences by partnering with unusual suspects. What he meant by this was aligning an attraction with an unusual or unexpected partner to unlock a new perspective which in turn invites a new audience in to engage. The success of attraction marketing, like many industries is in storytelling, however under an unusual partnership arrangement you are effectively allowing another party, someone unlike you, to tell your story on your behalf. They however tell your story from a different angle, a new perspective, and perhaps a more creative or at least more resonant way to their audience. This in turn may open you up to new audiences and new visitors, who through osmosis may engage with your attraction when they may not have otherwise even taken notice of it. Bernard gave some great examples, especially using cathedrals, whereby they have opened their doors to art installations, cinematic film with IKEA furniture and impressive interior and exterior lighting displays; all with the aim of attracting a different demographic in and breaking down barriers and thresholds to participation. The notion of ‘finding your Gruffalo’ was actually in credit to The Forestry Commission, who like the cathedral examples, have found a way to partner with a brand which makes walking in our forests more accessible and more fun for families – perhaps you have a Gruffalo trail near you, whereby augmented reality meets nature through the eyes of the Gruffalo stories? To follow on from the final point of Bernard’s talk, David Lascelles, The Earl of Harewood, presented examples of how his Estate remains relevant and attractive to returning visitors. Likewise, Ben Cowell, Director of Historic Houses shared similar views and strategies to encourage people to visit private stately homes, other than to be nosey about who ‘lives in a house like this,’ time and time again. The solution is to remain relevant to the times, and to offer more than just a property of historic interest and importance. Unlike many attractions, historic homes, are just that, homes. Still lived in by their owners, and still creating tomorrow’s history, today. So, both men provided examples of how these estates have adapted, evolved and collaborated with others in ways which appeal to the modern consumer. Initially, Harewood House, opened its doors for people to walk-around and see how the English aristocracy used to live, but once you’ve done that once, why would you need to do it again? Over the years it has added a playpark and bird garden to appeal to families and recurring visitors who are keen to see the Estate in different seasons; they’ve added a viewing gallery space installing contemporary art exhibitions at intervals throughout the year; and more recently leveraging their connection with ITV’s Victoria (which was partly filmed there) to maximise the public interest in period dramas. Cowell, referred to this phenomenon as ‘set-jetting’- an interest to visit sets and locations featured on-screen. Kentwell Hall, Suffolk – this October they have a Scares Ville attraction, whereby they’ve recreated a haunted village within the grounds, only accessible in the dead of night. Over 18s only. Longleat,Wiltshire – the Festival of Light is an extremely popular annual event in the winter which draws families and adults alike to the wildlife park from dusk onwards. Highclere Castle & Chavenage House - Sets of Downton Abbey & Poldark respectively. I think bringing our heritage into the 21st Century using sympathetic and complimentary exhibitions, spaces and partnerships is a great way to breakdown the aforementioned barriers and thresholds for audiences who wouldn’t normally consider venturing to them. Let alone being great initiatives to encourage advocates and supporters to return year after year. My third highlight, and possibly favourite talk of the day, came once again from Debbie Richards, from Baker Richards who passionately and eloquently spoke about pricing. Concerned at first that this talk was going to be very similar to last year’s presentation; Richards quickly alleviated any doubts that it would be a repeat. Whilst the underlying principle was the same – price doesn’t operate in isolation, and price and value are inextricably linked – Richards provided alternative perspectives on pricing strategies. If you only have one price, you’ll have capped your income – be prepared to offer a range of prices (especially for adults) and not just additional concessionary options. You’d be amazed at what people are prepared to pay given the circumstances and the benefits associated with different rates. Present your pricing ranges in a clear and concise way – airlines do this extremely well, highlighting best value, lowest price, most popular, conditions of offer etc. Round numbers pose decision making challenges for customers – people like to see round numbers, but at what threshold do you place your price? On, under or over a suitable threshold? What encourages customers to round-up un-prompted (e.g. from £26 to £30)? Be careful when discounting – ‘customers are like wolves’ and they’ll keep coming if they can smell a deal is always to be had. It can also devalue your attraction or proposition. Describing your discount strategy can affect demand and longevity of a promotion – e.g. % off or fixed £? Amount saved or up to deals? What happens if you increase your price overall, do you face giving away large discounts if the % is variable? Think of your promotions like carrots and sticks – are your discounting strategies designed to reward the behavior you want? E.g. booking online rather than over the phone, booking early to secure the income? Consider your ticket pricing in accordance with other transactional elements, it’s all relative in the customer journey – e.g. how will food & beverage prices be perceived against the cost of a ticket? How should merchandise be priced in-line with ticket prices? Use anchor pricing techniques to allow people to assess value (communicate a range of pricing options), but where possible present the highest cost first so that when all other options are displayed they have a benchmark price to compare it against. Starting low and increasing will make it harder for your customer to anchor the original price against what they believe to be a ‘fair price.’ Richards described this as a top down, rather than bottom up approach. It was clear that each of these ten areas could have been discussed in great length individually, and that this advice was only the tip of the iceberg, but if any interest you I would encourage you to explore in more detail as making pricing strategy changes in-line with these approaches have been proven to drive significant incremental return. These were my highlights from this year’s conference. They were other market insights, stats and recommendations that may appear in future blog posts, but for now, if you still have time we invite you continue reading some of our other blogs… follow the links below. If you are a marketer of an attraction or have found that any of the points shared here could apply to your organization and would like to discuss further then don’t hesitate to get in touch with one of our team. How to sell more tickets and memberships and make more money! How has the growth of the experience economy affected the travel & tourism industry? Discover the latest trends and strategies. 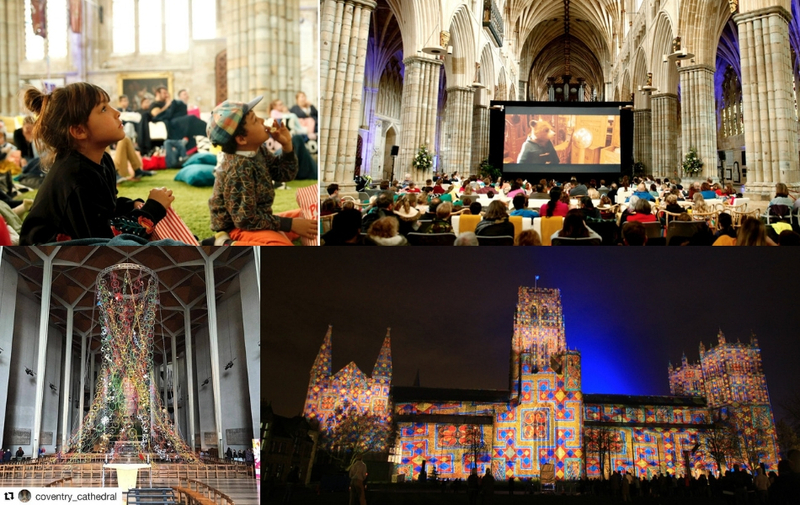 Want to discover how digital could help your attraction?